We strive to foster a healthy and respectful environment for all students, faculty, staff, vendors, volunteers and visitors. 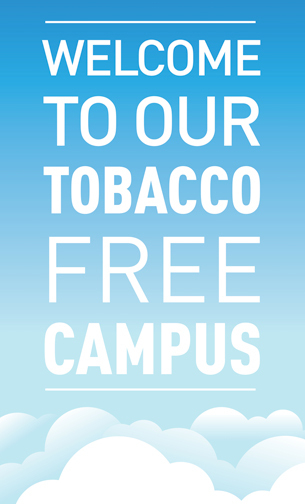 Tobacco use negatively affects the entire community and compromises HCC's ability to provide a healthy environment. Environmental tobacco exposes bystanders to numerous harmful chemicals. According to the Environmental Protection Agency, secondhand smoke contains more than 4,000 substances, several of which are known to cause cancer in humans and animals. The Surgeon General has found there is no safe level of second hand smoke. Cigarette butts aren't just a fire hazard, they increase college maintenance expenses and can be eaten by dogs, birds and other animals. Filters are non-biodegradable and can take 5-10 years to decompose. As a result, the chemicals (e.g. hydrogen, cyanide, arsenic, etc.) found in cigarette butts may leak into the soil and water. The American Legacy Foundation has found that cigarette butts are the most littered item in the world. It’s estimated that 1.7 billion pounds of cigarette butts are littered worldwide…each day! Many college students are at a critical time in young adult development during which many lifestyle habits are formed. We have an unprecedented opportunity to promote sustained healthy behaviors among our students. In 2012, the Surgeon General reported that each day in the U.S. 3,800 young people under 18 years of age smoke their first cigarette and over 1,000 youth under age of 18 become daily cigarette smokers. Nearly 100% of adults who smoke daily started smoking when they were 26 or younger (USDHHS 2012 - Preventing Tobacco Use Among Youth and Young Adults). As the College strives to become one of the healthiest campuses in the nation, it is imperative we consider the impact tobacco has on the health and wellbeing of our faculty, staff, students, vendors, volunteers and visitors.